In conjunction with the 2016 New York International Auto Show, the Kia Sorento is among the honorees for the first-ever Pre-Owned Value Awards (POVA) from TrueCar, powered by ALG. TrueCar's POVA recognizes model-year 2014 vehicles across 27 segments selling in 2016 that are expected to retain the highest percent of their value over the next three years. Sorento took the top spot in the midsize utility segment. 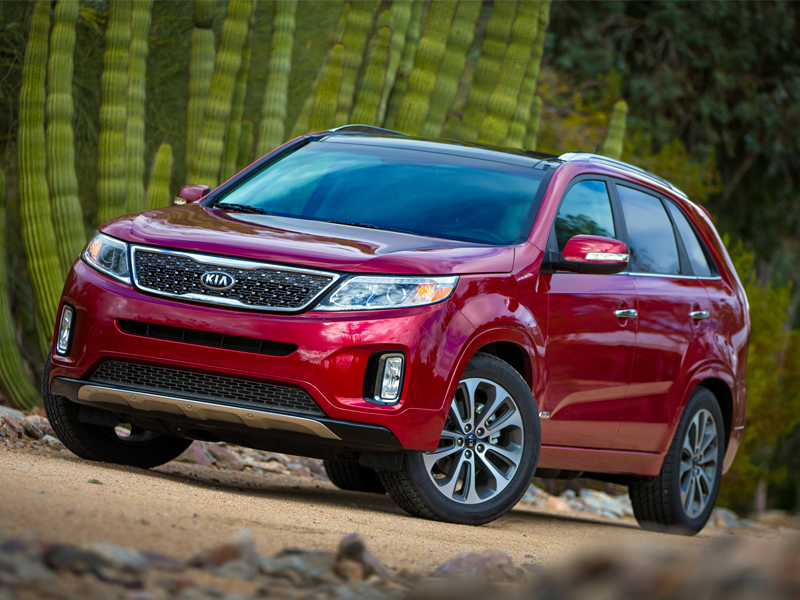 "Kia is honored that the Sorento is being recognized by TrueCar for its value in the pre-owned midsize-utility segment," said Orth Hedrick, vice president, product planning KMA. "With its extensive list of features backed by an industry-leading warranty, Sorento offers world-class design, technology and quality combined with the peace of mind that comes with making a smart purchasing decision." This new award identifies previously owned vehicles that represent excellent value for consumers based on future resale value over the next three years. Winners are determined through careful study of used vehicle performance and forecasted future value driven by brand outlook, product competitiveness and other key metrics. "The Kia Sorento offers consumers a compelling value proposition, providing additional space with more features and functionality versus similarly priced competitors," said Jim Nguyen, TrueCar EVP and general manager of ALG. "A smooth, quiet ride, available V6 engine and features like third-row seating, rear air conditioning, HID headlamps and blind spot detection set the Sorento apart from its competition. Additionally, improved quality and reliability as well as measured incentive levels all contribute to strong resale values."